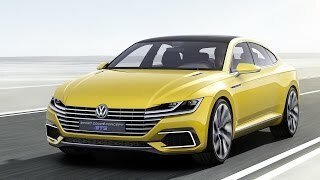 In its recent past Volkswagen introduced Golf GTE and Passat GTE with each of them covering different segments of cars. 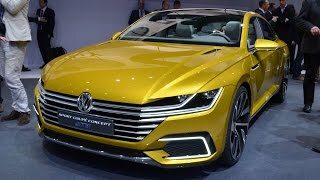 Introduction of Volkswagen Sport Coupe GTE Concept 2015 is counted as another step of the company to touch a new segment. With this sub-luxury Coupe Concept, company isn’t just intended to touch the next generation CC but is also looking ahead to earn what the ancestor models failed to give. 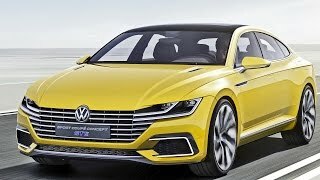 Let us see what all Volkswagen mounted in this newly released concept to fulfill its target. State of the art technology has been used to create the Volkswagen Sport Coupe GTE Concept 2015. Entering the model the first thing to get into your notice is its simple and clean designing. The Volkswagen featured horizontal lines and elements across as if wrapping the four passengers together in the beautiful arena. The conventional instrument cluster has been replaced by 12.3 inch unit while the center stack is mounted with a 10.1 inch infotainment display. Taking care of the rear seat passengers as well, right behind the center console is place another 12.3 inch display, giving them the control over functions like, Automatic climate control system, media library, telephone and navigation system. The GTE Sport Coupe Concept gives the driver entire control and view over the detailed information on type of route, weather conditions and traffic ahead. 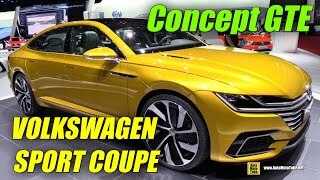 The exterior of Volkswagen Sport Coupe GTE Concept 2015 is indeed futuristic though we believe a few of the portrayed work might lose their essence by the time model hits production. The front fascia no doubt looks mesmerizing with the radiator grille, headlights and VW badge giving the model an all new revised look but expecting the same essence in final piece doesn’t looks much logical to us. However if it hits the Volkswagen team earns a milestone and especially the roofline, which is entirely different from those found in other four door coupes in recent past. In all we believe that with the Sport Coupe GTE Concept the Volkswagen didn’t just satisfied the sporting needs but also adored the safety and control in their concept. As per the Specification shared by Volkswagen the Sport Coupe GTE Concept 2015 holds the ability to be the fastest GTE till date. The model gets its power through a 3.0 liter V6 engine distributing total 374 horsepower; this includes the additional power pumped by the electric motors to both front and rear axles, i.e. 54 Hp to front and 114 to rear. The Concept produces 500 nm of torque mated to six speed dual clutch transmission. 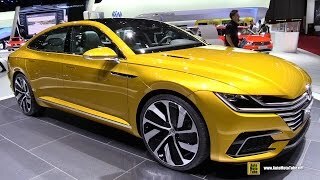 With these stats shared by Volkswagen the model will cover the 0-100 km h sprint in just 5 seconds while its top speed will touch the arrow of 155 mph.